Olivia, an 11-year-old girl from regional Queensland loves to run, she is a great runner. She was always the fastest in her year level. Her ability to run was the one sure she had in her life. But Olivia’s life at home made her anxious. This was affecting her relationships at school and now she didn’t want to be around people much at all. It’s distressing to know that in 59 per cent of reported cases, violence has been witnessed by children. Children living in homes where there is violence grow up in an unpredictable environment, filled with tension and dread. A one-off incident can be enough to create life-long trauma but it’s the day-to-day struggle of living in fear and anxiety that causes the harm. Recent studies have identified that being connected to sporting communities may assist in the prevention of family violence. The Confident Girls Foundation partners with grassroots netball clubs and associations and now with the local police service to give vulnerable young women and girls like Olivia the chance to become a part of the wider community, to give them the opportunity to thrive, through netball. The Confident Girls Foundation is providing a safe place for vulnerable girls to thrive. They are developing new skills and values including teamwork, utilising strengths and provide a chance to meet new people, both on the court and the community. Our programs also teach girls about positive relationships and they learn behaviours and attitudes that can influence them in adolescence and adult life. 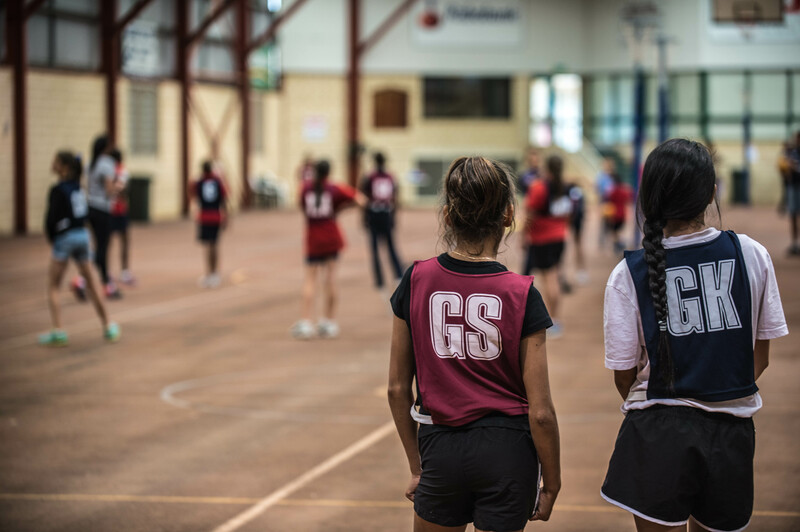 Netball is giving girls like Olivia a safe place to belong and grow confidence and giving them the independence to not become victims of domestic violence. Please help give young women and girls experiencing family violence the opportunity to thrive. Your donation can change the life of a vulnerable girl like Olivia. Your donation of just $22 per month can change a life!